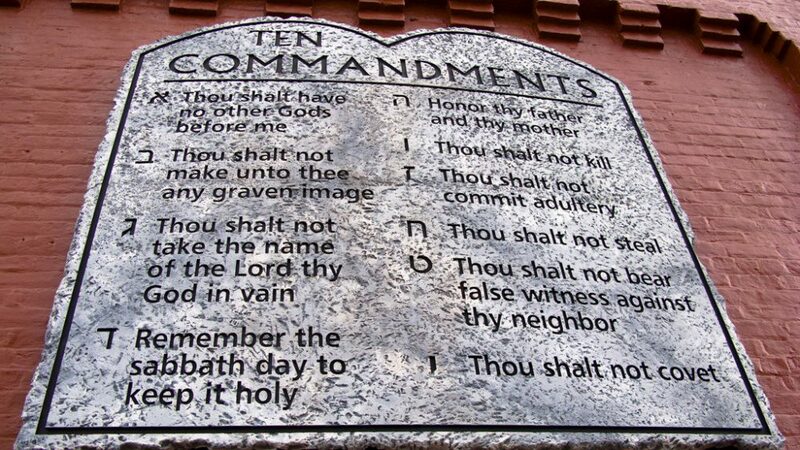 Only six of the Ten Commandments are still important today, according to the British. Online market research company YouGov surveyed 1680 Britons about which of the Ten Commandments from the Bible they still believed were important principles to live by – regardless of whether they were Christian or not. The Ten Commandments are laid down in the book of Exodus, given to Moses by God on Mount Sinai, to pass on to the people of Israel. Even among the Christian respondents, the Sabbath was not a priority. More than half of the respondents said they could live without the commandments to keep the Sabbath holy, worship only one God (the Lord), not use the Lord’s name in vain and refrain from idol worship. The command to keep the Sabbath (Sundays) holy was considered the least important, with 73 per cent of respondents listing it as not important. Even among the Christian respondents, the Sabbath was not a priority: fewer than a third of Christians (31 per cent) said it was still an important principle to live by. ► Why are we called to obey when God knows we can't do it? Meanwhile, Thou shalt not commit murder and Thou shalt not steal were considered still important by 93 per cent of respondents. The command against bearing false witness against people (lying about others) also ranked highly, with 87 per cent of respondents considering it still important. Eternity wonders how similar the results might be in Australia. We’re conducting our own survey to find out. You can participate here. What commandments do you think are still important principles to live by?